"I was reminded of the island from Lost as I gazed out of the coach window on the final leg of our journey across the island to Cat Ba Town. Forested peaks and rocky mounds littered the countryside and in the distance, the sunlight glimmered off the paper-flat waters of Halong Bay. We disembarked along the short strip of hotels, cafes and restaurants that line the water�s edge as the late afternoon sun was turning the light buttery across the Bay. Ragged wooden junk boats, tiny fishing vessels and a few floating restaurants cast out their small silhouettes." The market is on the north side of the harbour of Cat Ba Town and offers a wide range of crabs, jumbo shrimp and fish. At the boulevard are many restaurants, cafes and karaoke bars. These are mainly Western-oriented bars. The real old restaurants you find behind the boulevard. There are plastic tables and chairs will be waiting with next large aquariums with various fish, which is freshly prepared in front of you. If you want to have a nice view of the city, bay and island you have to go to the Cannon Fort. There you have a panoramic view and you get a good impression of the island. You can see the harbour with its fishing boats, the city, the hills and the jungle. From the Cat Ba Town you walk in 10 minutes up to the entrance of the Cannon Fort. Once through the gate you have to go walk 20 minutes further. The well-marked path takes you along underground tunnels, and two well-preserved gun setups with life-size dolls dressed like soldiers. Eventually you reach the point where you have a good view of Cat Ba. There's even a cafe (with a beautiful view from the terrace) and a small museum. 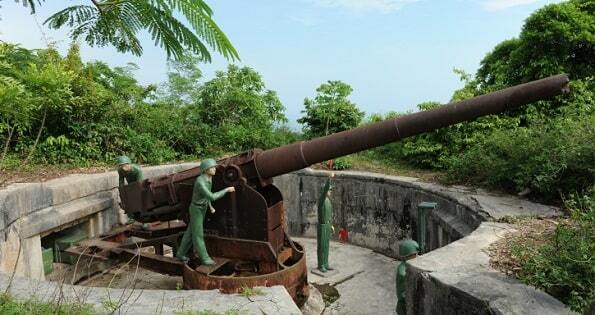 The tunnels and cannons were installed for the first time by the Japanese in World War II, but they have also been used by the French and Vietnamese during conflicts. In the beautiful National Park Cat Ba live 32 species of mammals, including 65 remaining golden-headed langur; The world's most endangered apes. There are some good hiking trails. To reach the park, you can catch the green bus from the National Park. 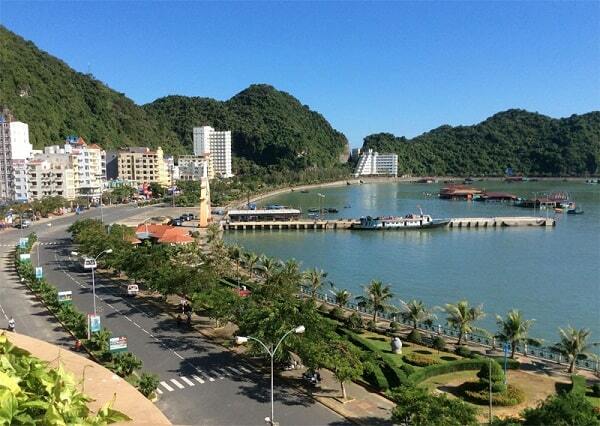 It departs from the harbour of Cat Ba Town. A guide is not mandatory, but it is definitely recommended. Inside the park is the Trung Trang Cave. This is easy to achieve, but you need to contact a ranger to make sure that it is open. Bring a flashlight with you. There is also a challenging 18 km walking trail in the park. This takes six hours and you can do best with a guide. Boat or bus transportation to the starting point and a boat back to the city can be arranged. Take good walking shoes, a raincoat and water along for the walk. The mammals you see in the park are: macaques, deer, civets and various types of squirrels. There are seventy spotted birds, including hawks, hornbills and cuckoos. Cat Ba is also on a major migration route for waterfowl that feed on the beaches and in mangrove forests. There are only three beaches of some significance close to the city. They are called Cat Co 1, Cat Co 2 and Cat Co 3. Cat Co 3 is the nearest beach to Cat Ba Town, but the sliver of sand is not really worth it to stop. 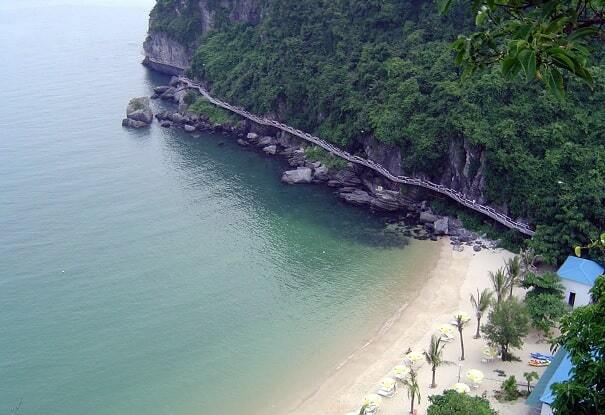 From this beach there's a lovely scenic walkway along the cliffs to Cat Co 1. The beach looks nice, but is dominated by an ugly resort. It is the most popular beach and therefore very busy during the summer months. You can continue to walk to the beautiful white beach of Cat Co 2. If you have the possibility to rent a motorcycle, you can go to beaches where it is significantly more quiet. You are often the only one on such a deserted beach. The disadvantage of these beaches is that much junk are left behind by visitors and because there is no restaurant or caf� in the area, the mess is not cleaned up. Hospital Cave is a cave complex, which was built between 1963 and 1965. It functioned as a secret and bombproof hospital during the war with the Americans. In addition, it was used as a shelter for Vietcong leaders. 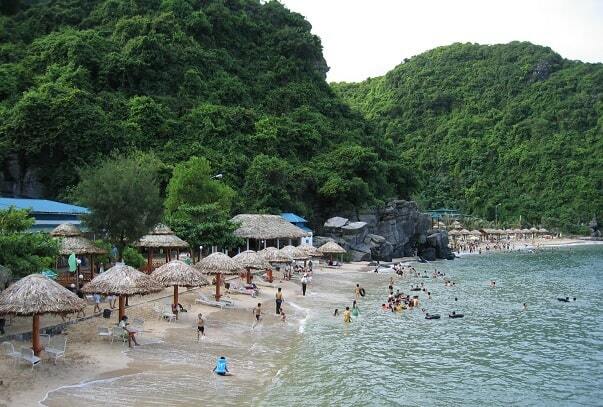 If you have not booked tour, you can catch a boat in Halong City and Haiphong. With a speedboat do an hour on and you pay � 10 for a ticket. The slow boat you would be twice as long, but you pay only half.